"Jacob Monis, A Learned Jew, born in Padua, Who, after many Years Travels in most Parts of Europe, has attained to the perfect Knowledge of the following Tongues, viz: Hebrew, Italian, Spanish, and Portuguese, now Teaches the same, both as to Speaking, Reading, and Writing Grammatically. He will attend any Gentleman at his own Apartments, if desired. Inquire for him at Peter's Printing House." Others followed including a snuff maker and a shochet (butcher). A larger contingent of Jews settled in the city from the Netherlands and Germany during the following years. In 1757, the small community leased land for a burial ground. 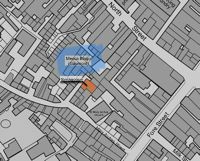 Six years later, Abraham Ezekiel, along with Kitty Jacobs, leased a small plot of land, behind St Mary Arches Church, in Synagogue Place, on 5th November 1763 – they actually subleased from an intermediary, as Jews were not allowed to directly lease land. The newly built synagogue, designed by Stephen Emanuel, was opened on 10th August, 1764, in a ceremony in which the Torah was carried seven times around the Bimah, followed by the singing of the National Anthem. The Ezekiel family would continue as leading members of the Jewish community for three-quarters of a century. 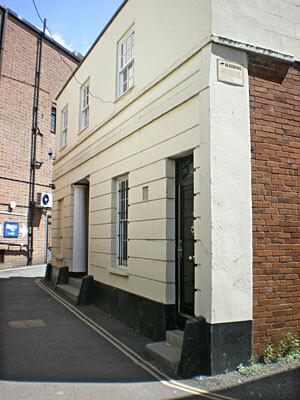 The early 19th Century was the height of the Jewish community in Exeter, after which, it went into a steady decline, as families moved away or emigrated. By 1878 there were fewer than 10 families remaining in the city. In 1889, such was the decline, that services were discontinued for six years, to be revived by Charles Samuels, the owner of a picture framing business in Goldsmith Street, which was still trading in the 1990s. The synagogue has been enlarged and modernised several times; the first was in 1835 when it was rebuilt and reopened in September 1836 with a ceremony that included an orchestra playing sacred music. Again, in 1905, the building was repaired, paid for by the Hoffnung family. Damage in the blitz required repair, and an extensive restoration was carried out in 1980. The last refurbishment, costing £150,000, was in 1998 when heating was installed, wall panelling replaced and the Ark restored, with the help of funds from English Heritage. The building has been described as Orthodox in design. The synagogue was used to raise funds for the wider community and in June 1815 two benefit services were held for the Devon and Exeter Hospital. Special services were held on the coronation of George IV in 1821 when Rabbi Levy gave an 'excellent lecture', before the congregation sat down to a 'handsome dinner', and on the death of Prince Albert in 1862. In October 1818, Henry Ezekial placed an advert thanking those in the city who had aided and assisted the warden, elders and congregation after a calamitous fire – no report appears in the Flying Post of the event. Exeter County Court was the venue for a dispute between Mr Lazarus and Mr Elsner, two tradesmen who had been 'brawling in the synagogue' regarding the payment of £10 16s 9d. 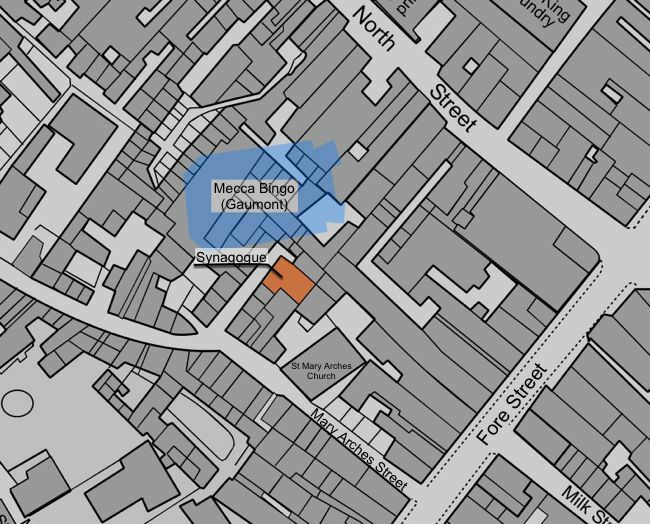 In 1862, the two were involved in a dispute with a hawker who tried to sell goods in the synagogue, just before Sabbath – on this occasion, the hawker was admonished for making a "market-place of the house of prayer of any persuasion", and told to pay costs. The synagogue, which is considered to be the third oldest in the country, holds regular services four times a month, along with additional services on High Holidays and festivals. The congregation numbers some sixty members. Source: History link on www.exetersynagogue.org.uk, Wikipedia and the Flying Post. Exeter's Synagogue with the Gaumont in the background.